Washington: The Pan-American Health Organisation on Friday reported a big jump in measles cases in the Americas this year, with Brazil surpassing crisis-hit Venezuela as the nation with the most confirmed cases. As of November 30, the region has seen 16,766 confirmed cases - but more than half of those have been reported in the last month, the UN agency said in its regular update on the situation. Brazil now has nearly 10,000 confirmed cases - but more than three-quarters of them were reported since last month. The vast majority of cases have been reported in Amazonas state, the PAHO said. Thirteen people have died of measles in the vast South American country. In Venezuela, which is in the throes of a major economic crisis that has led to widespread shortages of medicine, there have been more than 6,300 cases confirmed this year - and more than 70 deaths. The Pan-American Health Organisation is the regional arm of the World Health Organisation, which on Thursday signalled a more than 30 per cent spike in measles cases worldwide last year as compared with 2016. Measles is a highly contagious disease, which can cause severe diarrhea, pneumonia and vision loss, and ultimately can be fatal. 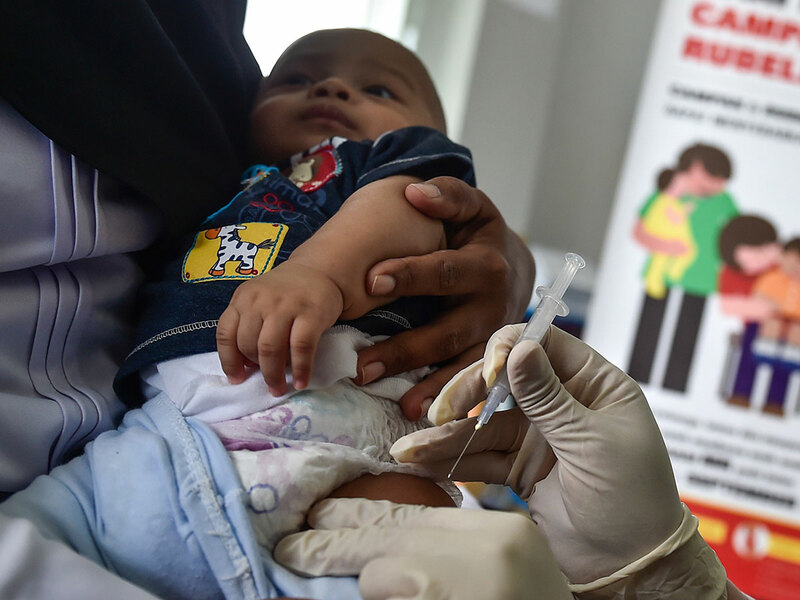 The PAHO urged Latin American countries to work harder on vaccination campaigns in at-risk areas and border zones. It also asked government health authorities to maintain 95 percent coverage of the first and second doses of the vaccine for measles, mumps and rubella.